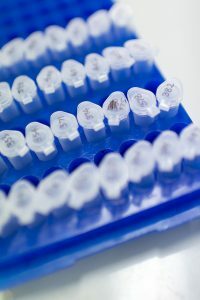 The Monash Public Health Biorepository houses biospecimens from a diverse range of studies undertaken by researchers from Monash University, including blood and urine specimens collected from Australian participants of the NIH/NHMRC-funded ASPREE (ASPirin in Reducing Events in the Elderly) clinical trial. Baseline and three-year follow up biospecimens from ASPREE participants constitute the ASPREE Healthy Ageing Biobank and, together with clinical data from the participants, represent a unique global resource for genetic and biomarker discoveries in older Australians. The biorepository also houses tumour tissue samples collected from ACES (ASPREE Cancer Endpoints Study), an ASPREE sub-study designed to look at the effect of low-dose aspirin on cancer.